Launch: Pidgin Issue No. 16, Fiction | P! P! 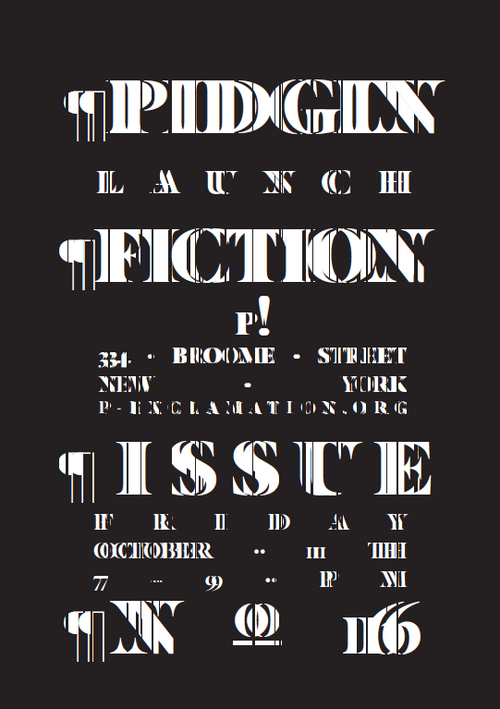 is pleased to host the launch of Pidgin 16: Fiction. The newly released issue #16, as well as past issues, will be available for purchase at the launch. Issues will also be available at design and architecture bookshops around the world and online. Pidgin is a publication edited and designed by graduate students at the Princeton University School of Architecture.